Grenada is hard to beat for a Caribbean vacation. It has gorgeous, soft-sand beaches and a mountainous and lush rainforest-covered interior. Its capital, St George’s, is a strong contender for the prettiest in the region. Grenada, or the Spice Island is far less developed for tourism than many of the other main Caribbean islands, such as Barbados or Jamaica. There are no resorts, no high-rise developments, and even the most popular beaches are usually quiet. Grenada has a good selection of hotels suit all budgets, along with some great restaurants and fun nightspots. The southwest corner of the island holds most of the appealing places to stay, eat and drink, plus the finest beaches and St George’s. Grenada offers lots to see and do. 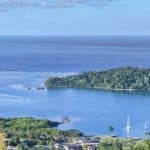 You can hike in the rainforest (a must), go sailing, go diving to see amazing reefs and wrecks, along with a unique underwater sculpture park! To learn more about all the beautiful beaches on the island of Grenada, visit here. Now view our Grenada Island Travel guide to help plan your next Grenada vacation! The high season are the winter months from, January to April. These are the best months to travel to Grenada, as it’s the driest and least humid then. The worst months are September and October, the peak of the hurricane season. Late summer thru early autumn is the wettest time of year, and the period when you’re most likely to be hit by storms. Hotel rates are about a third higher mid-December to April than at other times of year. In the summer and autumn hotels often offer free nights if you stay for a week or longer. Taking weather and cost into consideration, May and June are the best times to travel to Grenada. The liveliest time to visit is early August, when the island parties during the Carnival. You must have a passport that is valid upon arrival in Grenada. No visa is required for a stay of up to three months. All foreign passengers to Grenada must hold onward or return tickets, and all necessary travel documentation for their next destination. Nonstop flights to Grenada are available on American Airlines (Miami), Delta (Atlanta and New York), and JetBlue (New York). Regional flights between Grenada and Carriacou and between Grenada and neighboring islands operate several times each day. Certain areas of Grenada are best explored on foot; St. George’s, for example, is great for those who like to wander. However, if you want to see more of the islands, you will need another form of transportation. Having your own car allows you to wander the main island at your own pace. But driving will be risky as islanders are known for their risky blind turns, while pedestrians have a habit of crossing without looking both ways. Rental cars are available from kiosks at Maurice Bishop International Airport and from agencies located in St. George’s and Grand Anse Beach. In order to rent a car, you will need a valid driver’s license as well as a local permit, which you can purchase for about $11 from the Central Police Station in St. George’s or from some rental car agencies. Most car rental agencies require you to be 21 years of age to rent a car in Grenada. You can hop on one of Grenada’s reliable minibuses, as long as you don’t mind staying put on the weekends. Minibuses run from Melville Street in St. George’s to towns around Grenada Island, including Grand Anse Beach, Grenville, and Gouyave. However, minibuses only run from 7 a.m. to 7 p.m. on weekdays, and there is no set timetable. Fares run between $1 and $3 one way. Finding a taxi is fairly easy, especially in St. George’s and Grand Anse. Rates are fixed, so you don’t have to worry about getting scammed. The ride from St. George’s to Grand Anse Beach, for example, will cost you about $13 USD. Taxi fares on Carriacou are generally cheaper, though no matter where you are, relying on taxis can get expensive. For a more scenic ride between St. George’s and Grand Anse Beach, opt for a water taxi. These brightly colored boats shuttle passengers along Grenada Island’s southwest coast for around $4 each way. Osprey Lines Ltd. provides regular ferry service from Grenada Island to Carriacou and Petit Martinique. Ferries depart from St. George’s every morning at 9 a.m. and return every afternoon at 3:30 p.m. The trip from Grenada Island takes roughly two hours. A one-way trip from Grenada to Carriacou costs about $30, and continuing on to Petit Martinique requires an extra $7. It’s almost like walking through an oil painting. The vivid, brightly painted houses exude colonialism. 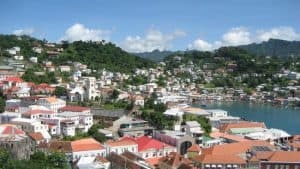 Grenada’s capital city, located on Grenada Island’s southwestern shore, has earned the unofficial title of the most beautiful harbor town in the Caribbean. Spend an hour or two exploring the marina, or the Carenage, where you will find lots of restaurants. Discover the islands colonial history at Fort Frederick and Fort George. Concord Falls is actually three separate waterfalls. The first is at the end of the road; and you can take a dip under the 35-foot cascade. The two other waterfalls require a hike into the forest reserve. The hike to the second falls (Au Coin) takes about 30 minutes. 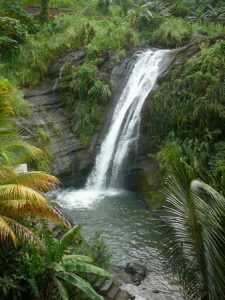 The third and most spectacular waterfall (Fontainbleu) thunders 65 feet over huge boulders and creates a small pool. It’s smart to hire a guide for that trek, which can take an hour or more. The path is clear, but slippery boulders toward the end can be treacherous without assistance. Frommer’s describes Grand Anse as “the granddaddy” of Grenada’s 45 beaches, but that’s an understatement. This two-mile stretch of creamy-white sand overlooks a sheltered, azure-hued bay where bright red and yellow fishing boats burst with color. Numerous hotels, restaurants, and shops act as a convenient backdrop to this postcard-perfect scene, making this a great home base for sun-seeking visitors. River Antoine has been churning out bottles of rum since 1785, making it the oldest functioning water-powered distillery in the Caribbean. 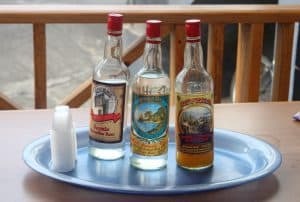 Guided tours will lead you through the rum-making process, from the harvesting of sugar cane to the fermentation to the bottling process. After the tour, you’ll be treated to a free sample, but be warned: This isn’t your average liquor. River Antoine rum is produced in strengths of 138- and 150-proof. Nature-lovers will fall in love with La Sagesse, a former plantation nestled along a private estuary. Just be sure to bring your binoculars, as La Sagesse Nature Center has some of the best bird-watching on the island. This region houses unique species as the Caribbean coot, the green-back heron, and the northern Jacuna. 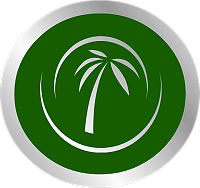 La Sagesse also boasts a beautiful beach and numerous hiking trails, not to mention a small hotel and a mouthwatering restaurant. Dive Grenada is an Award Winning PADI 5* and BSAC Diving Resort here in Grenada in the Caribbean. They are very proud to be recognized as a leading dive center here in Grenada located at the Mount Cinnamon hotel on Grand Anse Beach offering outstanding Scuba Diving, PADI Training and Snorkel excursions. For more information call 473-444-1092, or visit them on the web at Dive Grenada. They offer eco-friendly tours of Grenada. Hiking, bird watching and sightseeing are their specialty however, they either have or can design a tour to suit every need. For more information call 473-457-7292, or visit them on the web at Tropical Adventures. Carriacou’s Premier Tour Company creates the ultimate adventure for you on Carriacou. Whether you are looking for a scenic daytrip or an adventurous outing, they have you covered. Choose from various activities ranging from Tobago Cays excursions, boat trips, hiking through nature trails, visiting uninhabited islands, bird watching, underwater explorations and offshore camping. 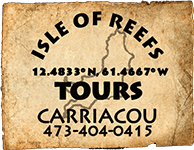 For more information call 473-404-0415, or visit them on the web at Isle of Reef Tours. Conservation Kayak offers personalized, guided kayak trips that focus on the beauty of nature on the Caribbean island of Grenada. Their aim is to help conserve the environment by raising awareness and increasing appreciation of Grenada’s unique ecosystems. 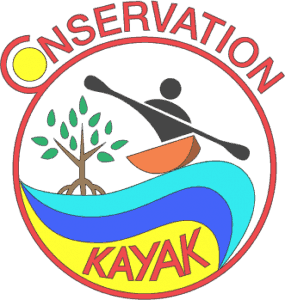 For more information call 473-449-5248, or visit them on the web at Conservation Kayak. Enjoy an excitement-filled snorkeling adventure, the only one of its type in the Southern Caribbean. Their staff will supply all necessary instruction and equipment to ensure that you will enjoy a fun, safe and rewarding powerboat adventure and snorkel at one of Grenada’s premiere underwater sites off the West coast of the island. 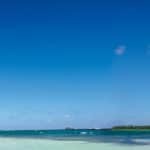 They also offer snorkelers a chance to get wet at the world’s first Underwater Sculpture Park in the Moliniere Beausejour Marine Protected Area. For more information call 473-405-7800, or visit them on the web at Grenada Seafaris. Whether you’re spending the day on Grand Anse Beach or just looking for a quick bite, Umbrellas is the place to go. Right on the beach, next to Coyaba Beach Resort, this classic beach bar is open from breakfast until well into the evening. The burgers and sandwiches are great, the salads are freshly made, and there’s barbecued fish or steak with wedge potatoes or sweet potato fries. Everything’s reasonably priced—yet another reason it’s so busy. Of course, you can also just sit on the top deck with a beer or rum punch and a plate of appetizers and stare at the waves—or watch the sunset. For more information call 473-439-9149, or visit them on the web at Umbrellas Beach Bar. At dinner, the casually elegant surroundings, the delectable entrées—rack of lamb, blackened fish, or prime rib—and superb wines give new meaning to the term beach party. There’s a kids’ menu available, and a quick snack menu is available anytime in high season. On Friday and Saturday nights, there’s a happy hour from 10 to midnight. For more information call 473-444-4455, or visit them on the web at The Beach House. As the name suggests, fresh seafood is the specialty here. Spend the day at adjacent Magazine Beach (you can rent kayaks or snorkeling gear) and then break for a cool drink or satisfying lunch—a salad, sandwich or burger, fresh fish, or pasta. The dinner menu always includes fresh fish, grilled lobster, and specialties such as callaloo cannelloni. On Sunday, there’s a beach barbecue with live reggae music. For more information call 473-444-1410, or visit them on the web at Aquarium Restaurant. On the waterfront at the edge of Tyrell Bay, Lazy Turtle has been a favorite eatery and watering hole for divers, yachting families, and vacationers for years. They boast “the best thin-crusted pizza in the Caribbean.” The 12-inch pizzas range from the usual—and simply delicious—toppings of tomato/cheese/oregano to the Lazy Turtle Special (artichoke/fresh tomato/onion/mushroom) or seafood more. In addition to pizzas, the menu offers a full range of pastas, salads, seafood, and chicken dishes. Desserts are all homemade. For more information call 473-443-8322, or visit them on the web at Lazy Turtle. This open-air seafood restaurant is on a secluded cove in a nature preserve. Linger over sandwiches, salads, or grilled lobster for lunch. Lambi (conch), smoked marlin, tuna steak, chicken piccata, filet mignon, and a daily vegetarian platter on the dinner menu. All fish is locally caught; all vegetables, fruit, and spices are grown on La Sagesse’s own organic farm in the rain forest. For more information call 473-444-6458, or visit them on the web at La Sagesse Restaurant. This informal bar and restaurant is a lovely spot, on a canvas-covered deck protruding out over the waters of the bay. It’s worth coming for a drink any night of the week. Happy hour runs from 5-6pm. There’s usually live music on Tuesdays (Grenadian Night) and Saturdays (Romantic Night), and Wednesday nights is lively, with a DJ and a crowd of locals and students from the nearby St George’s University. For more information call 473-443-8783, or visit them on the web at Dodgy Dock. This is the liveliest nightspot in the south-west of Grenada. The multi-faceted place includes an outdoor area with a fast-food eatery (pizzas and burgers), a laid-back sports bar, and, on Fridays and Saturdays, an indoor nightclub with DJs and an admission charge (Friday is the big night). 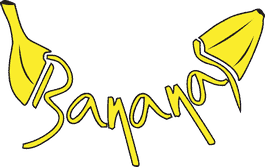 For more information call 473-444-4662, or visit them on the web at Bananas. The Prickly Bay Marina includes an open-air bar and pizza restaurant, both of which are popular with ex-pats, tourists and yachties. On Fridays – the liveliest night, often attracting hundreds of visitors – a decent live band performs on the outdoor stage from around 6.30pm, and there’s a DJ later. Bingo on Wednesdays, with big cash prizes, also attracts a large crowd. A quiz is held on Tuesday evenings, and films are screened on Sunday evenings. 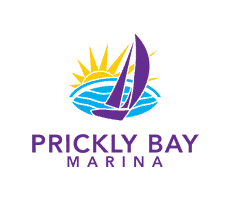 For more information call 473-439-5265, or visit them on the web at Prickly Bay Marina. This friendly brew pub is a few-frills warehouse by the road down to L’Anse aux Epines beach. Behind the bar stand large silver vats where the West Indies Beer Company’s tasty real ales are brewed. On weekend nights, the place is heaving with students, some clearly the worse for wear after a beer or two too many. Sports events are shown on a big screen on the outdoor terrace. 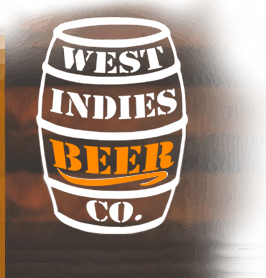 For more information visit them on the web at The Brewery. Every Friday evening, the fishing village of Gouyave, lays on a street party aimed at tourists and locals. Stalls are laid out along two backstreets, with ladies cooking fried, steamed and grilled fish, along with other local dishes such as crab backs (land crabs) and fish cakes. You eat off plastic plates at communal picnic tables, and can purchase beer, rum drinks and local juices to wash everything down. There is also music, sometimes live, and the atmosphere feels safe, with a visible police presence. For more information call 473-444-8430, or visit them on Facebook at Gouyave Fish Friday. This property is 2 minutes walk from the beach. Offering a beautiful setting on Grande Anse Beach, Coyaba Beach Resort features rooms with balconies overlooking its grounds or the Caribbean Sea. It has a seasonal outdoor pool, gym and a restaurant. Guests can enjoy a range of Grenadan cuisine in the Coyaba’s buffet restaurant, which overlooks the sea. For more information, pricing, or to reserve your room, visit Coyaba Beach Resort. Featuring free WiFi and a restaurant, Calabash Luxury Boutique Hotel & Spa offers accommodations in Saint Georgeʼs. The hotel has a spa center and water sports facilities, and guests can enjoy a drink at the bar. Free private parking is available on site. There is a shared lounge, babysitting services and a gift shop at the property. For more information, pricing, or to reserve your room, visit Calabash Luxury Boutique Hotel & Spa. Showcasing a private beach area and water sports facilities, Le Phare Bleu Boutique Hotel is located in Saint Georgeʼs in the region of Saint George Parish. Guests can enjoy the on-site restaurant. Free private parking is available on site. For more information, pricing, or to reserve your room, visit Le Phare Bleu Boutique Hotel. This property is 1 minute walk from the beach. Grenada Grand Beach Resort is next to Grand Anse Bay Beach and just over 1 miles from Morne Rouge Beach. It features free Wi-Fi, an outdoor swimming pool and a furnished terrace. Grenada Grand Beach features the Tradewinds, where guests can enjoy a buffet and the menus for breakfast and dinner. A cappuccino in the Bamboo Bar & Caffe can also be enjoyed, or guests can go for a snack or lunch at the Oasis Grill and get drinks at the Oasis Bar and Sunset Beach Bar. For more information, pricing, or to reserve your room, visit Radisson Grenada Beach Resort. This property is 2 minutes walk from the beach. Laluna is a beautiful resort set on Magazine Beach. Surrounded by hills, it features luxurious cottages with private plunge pools, an Asian spa and a restaurant. Guests can enjoy a breakfast in Laluna’s restaurant, which has Italian cuisine for dinner. There is also a beachfront lounge and bar with Indonesian-style lounge chairs. The hotel’s spa features Vichy showers, a tea bar and a library. It offers a range of treatments, including massage, facials and aromatherapy. For more information, pricing, or to reserve your room, visit Laluna Hotel. Would love to try the nightlife here. I have a feeling it could get pretty wild. Would also be up for some camping. 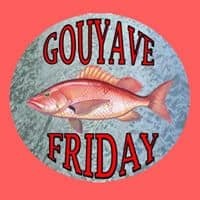 The isle of reef tours would be of interest for sure and The gouyave fish Friday sounds like a good time. Good reference page to make sure you’re not missing out on anything. I am going to bookmark this, so when I am ready to head to Grenada, I have everything! Glad I found your site! Glad you enjoyed visiting Grenada Island Travel Jeremy. Yes, the nightlife is great in Grenada, definitely something you should do while there. The reef is amazing, and I think anyone visiting should do the isle of reef tours for sure. I know you enjoy your time on Grenada. Let me know if I can help you with anything. Thanks for all the info. We are planning a trip to Grenada next year, maybe around June and I’m wondering which is a good hotel to stay in with young children? 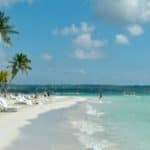 I quite like the look of the Radisson Grenada Beach Resort and if it is child-friendly then this one maybe fits the bill. La Sagesse Nature Center looks great, my son will enjoy that. I don’t dive but I’d imagine we could also do snorkeling trips? Yes, I do believe that the Radisson Grenada Beach Resort is a very good choice that is family friendly. And yes, where there is diving, there is always snorkeling. You will be able to snorkel all you want in Grenada! Enjoy your vacation with the family in the wonderful Caribbean island of Grenada! The views here are gorgeous! I like how you layout attractions, restaurants and different other activities that you can do when visiting Grenada. I’m so interested in a lot of these activities like walking and eating, lol, always eating. I noticed that there aren’t many activities for kids though so what would you recommend for visitors with small children who visit Grenada? Your introduction to Grenada is so comprehensive. What a picturesque place! I have this down as one of the must-go places with my family when we can all steal time from our crazy schedule. Grand Anse beach looks super tempting. Do you just stay near this place? If so, you are so lucky! Oh, I wish I were near Grand Anse Beach right now! I would be truly lucky for sure. I do live 5 minutes from the beach though 🙂 Thanks for visiting Grenada Island Travel! Wow, this is a very good review! Loved the video. I have really enjoyed looking over your whole website. My family and I have been looking into places to take a vacation to within the next year or 2, and I am absolutely bookmarking your site to keep in mind for the future. Thank you for putting a ton of information in your post. It really helps me get an idea as to what I can expect, and I will definitely be keeping Grenada in mind as a quality option! Wow! What fun! Looks like Grenada is the place to be. Seems like you covered most of my questions about this beautiful place. If my family were to travel there. Is it a great place for young children or is it geared towards more adult people? Also, is it ok to walk around the town and look at all the beautiful homes and buildings off the beaten path? Look forward to chatting with you about this. Thanks for peaking my interest in Grenada. Oh, there are lots of kid friendly things to do on the island. They would actually have an amazing time. You can take them to Grand Anse Beach, as the water is so calm there. They can play in the sand, splash in the water, and build sand castles. 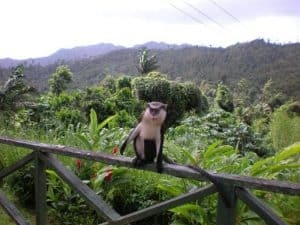 Also, take them to Grand Etang National Park to see all of the wildlife such as the monkeys and hummingbirds, as well as a large crater lake. Also, a suggestion is Belmont Estate where they can learn how to make chocolate and then have some chocolate samples. You can also take them to a kid friendly show at the Spice Basket. There are lots of options for parents with children. They would not be bored. Thanks for reading and let me know if you have any other questions. Great review of Grenada Island and very thorough! Such a beautiful location. Been to several Caribbean Islands, but not Grenada! It is one place that I have wanted to look into as I have heard so much about Grande Anse Beach. I love beaches, and this one I am wanting to go to. I have all the information I need now, thanks! Wery nice article and very informative! 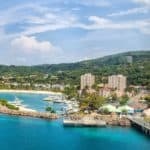 Looking forward to actually making a trip to Grenada, so this article with all the information is very helpful to me. It’s not missing anything! Good Daniel! I want everyone to be as passionate about these wonderful Caribbean islands as I am 🙂 You will enjoy a vacation in Grenada for sure. Glad you visited Grenada Island travel, and please let me know if you need any other information! Your website is awesome and would put anyone in the mood for a vacation. It is a wealth of very good information. Grenada looks awesome and I especially like the fact that you can travel on a passport and do not need a visa right away. I see that they are prone to Hurricane’s? Have you done any research on how bad these hurricanes get? 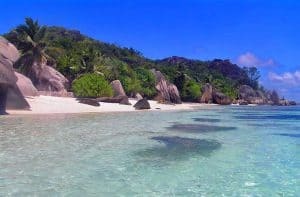 Grand Anse is an awesome looking beach and that is probably where I would spend most of my time for sure. Thanks for visiting Grenada Island Travel Nate. Grenada has been hit with 8 hurricanes since 1954. Not all of them have done the devastation they have seen this past hurricane season. They are directly in the Hurricane path though, so that is just a precaution to take when planning your visit to this wonderful Caribbean island. Never been to Granada, but looking for a good surfing spot in the Caribbean. Any surf over there? You gave a good overview on costs and what to expect for visitors. Very well written and informative. Thanks! 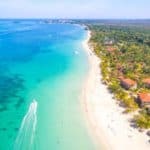 First of all, I love your site; it’s packed with all the necessary information for someone looking for a beach or island get away. I was just discussing with my friends and colleagues the other day which places are the best ones to visit the next time we get the chance to break free from our hectic day to day routines. The Caribbean is on our list as we have been hearing and reading so many wonderful things about this place. I’m looking forward to setting a foot at Grenada Island. 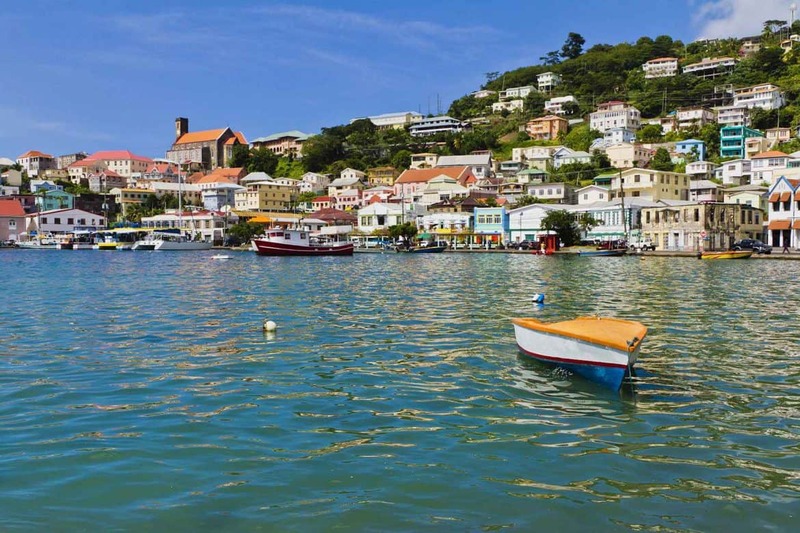 You can’t go wrong vacationing in Grenada, thank you for this travel guide. I just love your site! It makes me want to take a vacation right now. I have been wanting to go to Grenada. I can plan my trip to Grenada with your site, and I wouldn’t even need a travel agent! Everything is right here for me, Thanks for sharing! Thanks for visiting Grenada Island Travel Carole. I am glad you found everything you need to plan your trip! 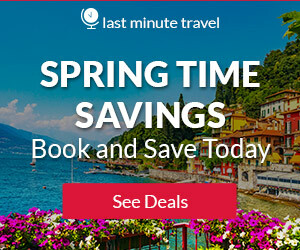 This is a great resource for traveling to Grenada! I have been looking forward to a Caribbean getaway to that very place, and the information on your site is going to be very helpful! I love that you added in the different ways to get around. I’m someone who walks, so I was happy to see that you could see some sights by foot. Thanks for the warning about risky blind turns! Much appreciated! Oh Lord, I knew my wife and myself should have gone there when we were living in Florida, it would have been much easier than now that we are retired in the south of France, but you never know. Thanks for sharing these wonderful images of Grenada Island Leahrae. I see that you have a whole lot of information on holiday destinations. I am going to enjoy myself going through all that. I am quite sure that I will have to ask you a few questions along the way. Thank you for such a great review of Grenada. With so many beautiful islands in the Caribbean it’s hard to know which ones to choose.. Grenada looks absolutely amazing! Your reviews of the islands are first class. What really appeals to me about Grenada is the fact it is not too developed unlike some of the other islands. 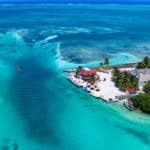 I have shared your reviews with some friends who are looking at the Caribbean for their winter holiday and I am sure some of them will be visiting. I also showed your review of Grenada to a friend who has been there and he said everything you say about Grenada is spot on! In the video you have I saw what looked like a Carnival and colourful outfits, do they have a Carnival there? Yes, they do have a Carnival which is held annually around the beginning of August and lasts 10 days. That is also a great time to go, if you want to enjoy all the fun that goes on with the Carnival. Thank you for visiting Moni, and sharing my site. Any yes it is beautiful, with the plus of not being nearly as developed as some of the other more famous Caribbean Islands. This is the appeal for Grenada for sure. Thanks for reading about Grenada Island Travel. Another great review! Grand Anse Beach waters look so pretty. I live in California and been to the beach twice, lol .Sad I know. I am an hour away and just don’t go so reading these reviews are bittersweet. I love the beach and don’t see it much. There are a lot of activities to do in Grenada, sounds like a great place to travel. Yes, I live 5 minutes from the beach as well, and I don’t get to it enough either. And now the weather is getting a bit chilly, so I need to go! Grande Anse Beach is one of those beaches that is just plain beautiful. Grenada has a lot to offer, you would enjoy visiting. Thanks for visiting Grenada Island Travel.